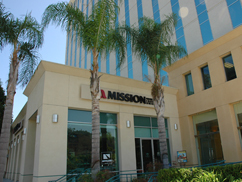 about Mission Federal Credit Union in San Diego! We’re a member-owned, not-for-profit financial cooperative dedicated to serving your financial needs. You can think of us as your one-stop financial services provider, offering you all kinds of Savings Accounts, Loans, eServices, Investment Services, Insurance and more. Everything we do is driven first by understanding your short- and long-term needs, then caring for your needs in the way that’s most effective and convenient for you. We’re for people, not for profit—and we mean it when we say your success is our bottom line. Mission Fed is here to serve you and our member-owners in the San Diego Community with branches countywide, online and Mobile Banking and fee-free Mission Fed and CO-OP ATM access in the US and Canada. Ever mindful of the civic spirit that drives us, we’re committed to serving the community we live in. Mission Fed participates in several philanthropic outreach programs in San Diego County. We believe this is simply part of our obligation as a community-based organization and that all of us benefit from such efforts. Learn more about Mission Fed's community involvement. Earning trust, investing in our membership's success and caring for our community. I would like to welcome you to Mission Fed, where we truly mean it when we say that your success is our bottom line. A Mission Fed Moment is something that’s important to you—throughout your life. That could mean helping your child open their first Savings Account, sliding into the driver’s seat of a new car or holding the keys to your new home. A Mission Fed Moment can also be saving time with Mission Fed Mobile Banking so you can get to the school play, graduation or a wedding. Whatever your definition of success is, our services can help you enjoy those Mission Fed Moments. That’s what Mission Fed does—and why we’re here.